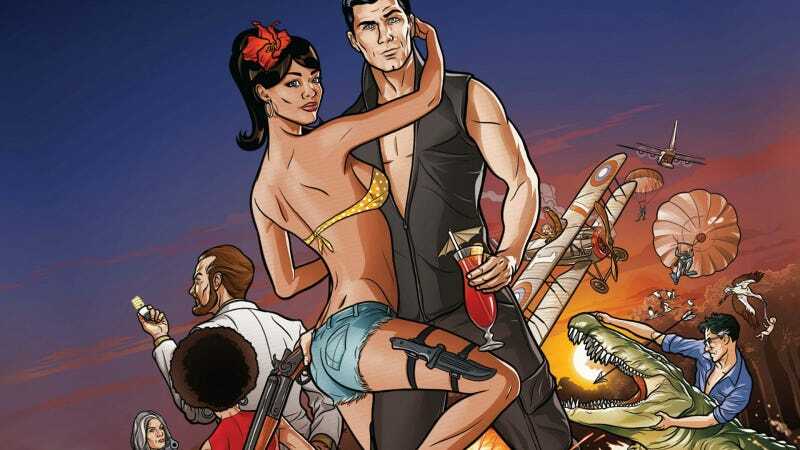 As should be clear to anyone with at least a semi-functioning brain, we love FX's spy show Archer and have been counting the days to this Monday's premiere. Get closer to the DANGER ZONE today at 2:00 PM EST when two of the geniuses behind the show join you for a chat. Producer Matt Thompson, one half of the duo behind Archer, Sealab 2021 and Frisky Dingo, and art director Neal Holman will be here to answer as many of your questions as they can between 2:00 PM and 3:00 PM today. After that you'll just have to wait a a few days until the show's 10 PM EST premiere on January 13th.